All Jamul homes currently listed for sale in Jamul as of 04/25/2019 are shown below. You can change the search criteria at any time by pressing the 'Change Search' button below. "Offering a truly rare opportunity for builders, developers, investors Breezeway Ranch a spectacular 1,300 +/- acres of majestic land with endless possibilities and opportunities. Located just 30 minutes from downtown San Diego, in Jamul. Zoned agricultural encompassing 7 contiguous parcels, the ranch is being offered as one property with individual parcels that can be sold separately after purchase. Approximately 675+ acres are covered by the Williamson Act representing a significant tax savings. Neighborhoods: Jamul Equipment: Dryer, Washer Other Fees: 0 Sewer: Septic Installed Topography: ,,RSLP,"
"Live the dream in Jamul, with Panoramic Mountain views! Why waste time commuting in grid-lock traffic when you can live in beautiful Jamul, in San Diego's east county? Mediterranean dream home with young and stylish design built in 2007 and offering 8 bedrooms, 4 full bathrooms and 2 1/2 baths, 7,608 Sq Ft on 2.52 acres of freedom and 4 car garage. Custom built estate with all the upgrades and luxury. This estate can be easily split to two identical 4 bedrooms, 2.5 baths, kitchen... Please see supplement. Neighborhoods: Jamul Equipment: Range/Oven Other Fees: 0 Sewer: Septic Installed Topography: LL"
"Rancho Jamul Estates is an exclusive, gated community, surrounded by natural beauty, wide open space, and a 23,000-acre Fish & Game Natural Habitat Preserve, comprised of luxurious high dollar homes on large lots, ranging between 2 3+ acres. Lush, gated entry with private security, broad paved streets, meticulously manicured sprawling estates a beautiful destination where country and luxury come together. Built in 1990, this gorgeous, partially fenced, custom estate featuring French Normandy architecture is situated on 2 legal lots, totaling 5.14 acres and equipped with ideal equestrian facilities. Just some of the exceptional interior and exterior features include: 7,094 esf, 4 bd, 6 ba custom home with separate office, 30 open beam ceilings, imported building materials used throughout this expansive home, gourmet kitchen, 1000 esf game/exercise/media room, meticulous, lush landscaping, large contemporary style pool with electric pool cover & jacuzzi, abundance of well water, variety of fruit & nut trees, superb equestrian facilities, including: 5 stall barn w/ electricity, riding arena, 2 acres of pastures, tack room, & wash stall just to name a few! This is truly a one-of-a-kind Rancho Jamul Estates masterpiece!" "Nearly $1 million below market value! Market comparison values this home and 5+ acres at over $2.3 million! Built in 1990, this gorgeous, partially fenced, custom estate featuring French Normandy architecture is situated on 2 legal lots, totaling 5.14 acres & equipped with an ideal equestrian facility. Neighborhoods: Rancho Jamul Estates Other Fees: 0 Other Fees Type: , Sewer: Septic Installed Topography: ,RSLP"
"Price Reduced! $1,539,000 Exceptional Dream House. Every room is a MS. Luxury master suite w/balcony, fireplace featuring a spacious entertainment area/office w/custom cabinets, Huge walk in closet, duel sinks.Top of the line kitchen appliances, prep sink, walk in pantry, Lg circular island. Brazilian Wood Floor, Cust Paint. Backyard oasis w/breathtaking 360 panoramic mountain views, Solar heated infinity pool. No worries about utility bills Solar Owned. Neighborhoods: Jamul Architectural Style: Custom Built View: Custom Built Complex Features: ,, Equipment: Dryer,Fire Sprinklers,Garage Door Opener,Pool/Spa/Equipment, Shed(s), Washer Other Fees: 0 Sewer: Septic Installed Topography: ,"
"Fabulous Single Story Home on 16 acres of Privacy. Amazing Custom Kitchen, Wine Room, Walk In Pantry, Wet Bar. Stunning Marble Fireplace in formal living room. Huge Master bedroom with Fireplace, Jacuzzi Tub, dual walk in closets. All 3 other bd rooms have full baths and walk in closet. Double Oven with Food warmer, large cooking range with grill & pot filler. Library/office along with additional room for a game or exercise room or possible extra bed rm. Dog Run and mini pony stable. Neighborhoods: RESIDENTIAL Equipment: Dryer,Garage Door Opener Other Fees: 0 Sewer: Septic Installed Topography: ,RSLP,GSL"
"Are you searching for a luxurious Estate with golf course views? This is it! Overlooking a gorgeous lake onto Steele Canyon Golf Course's #1 hole, 'The Vineyard', this Estate is an entertainers dream! One of the best lots in the Estates! Extravagant features include dual entry-level master suites, new flooring, large kitchen, wet bar, custom Faux interior paint, Santa Barbara Smooth Exterior finish, Trey ceilings & OWNED solar. The grand backyard has outdoor living space, built in BBQ & fire pit! Neighborhoods: Steele Canyon Estates Other Fees: 0 Sewer: Sewer Connected Topography: LL"
"Prestigious Rancho Jamul Estate- location provides panoramic mountainous views! 5,256 Sqft on over 2.6 gated Acre lot custom built! When you drive up to this home an extraordinary exterior & a grand entrance awaits you inside! Open kitchen & family room design extends outdoors to enjoy the view beyond. Formal living & dining room with vaulted ceilings. Spacious master suite with patio & views! 14 skylights throughout the home provide sunlight into the home throughout the day. Spectacular pool & spa make t Neighborhoods: Rancho Jamul Estate Equipment: Range/Oven Other Fees: 0 Sewer: Septic Installed Topography: LL"
"LUXURY AT A HUGE DISCOUNT PRICED UNDER APPRAISED VALUE. You re freeway-close to this hidden gem. If you re looking for a home in El Cajon, Mount Helix, or Poway, look no further. Only 20 minutes away from most everything in central SD and a short distance from shopping, restaurants, theatres, Starbucks, plus one of the newest YMCAs in the area. Steele Canyon High is nearby as are produce stands, doctors, vets all the amenities you will need while living country-quiet on a fully-fenced acre. Neighborhoods: Jamul Equipment: Garage Door Opener,Pool/Spa/Equipment, Shed(s), Vacuum/Central Other Fees: 62.5 Sewer: Septic Installed Topography: GSL"
"Welcome home to this breathtaking 2.8 acre hillside equestrian estate with stunning views. This home is an entertainers' dream with a new gourmet kitchen, pool and space for your family & friends. Enjoy the nearly unlimited possibilities of the finished basement with a separate entrance that features space for a wine cellar, along with its own bedroom & bathroom suite that could be used for multi-generational living, guest quarters or just extra space to spread out. Owned solar was just installed in 2019! Neighborhoods: Rancho Jamul Estates Complex Features: , Equipment: Garage Door Opener,Pool/Spa/Equipment Other Fees: 0 Sewer: Septic Installed Topography: ,LL"
"Calling all Car Enthusiasts! This beautiful, gated estate sits on approx. 1.17 acres and features a two car attached garage plus a detached 6 car garage/workshop and 40 covered parking for an RV. Expansive views to the ocean, city lights and specular sunsets, hardwood floors, mahogany encased windows and 80 owned (not leased) solar panels. With it s lush landscaping, wonderful views and great locations, you are going to love this home. Approximately 2 miles to Steel Canyon Golf Course. See Supplement. Neighborhoods: Steele Canyon Area Other Fees: 0 Sewer: Septic Installed Topography: GSL"
"One of a kind custom built estate that features elegant upgrades with a state of the art floor-plan and sits on a 1 acre corner lot in Jamul! As you enter the elegant wrought iron doors, you are greeted with a gorgeous staircase, vaulted ceilings and designer travertine flooring! To your right of the entry way, you have an exquisite formal living room with a custom precast concrete fireplace and to your left is a formal dining room with large windows that fills the room with natural light. See supp... 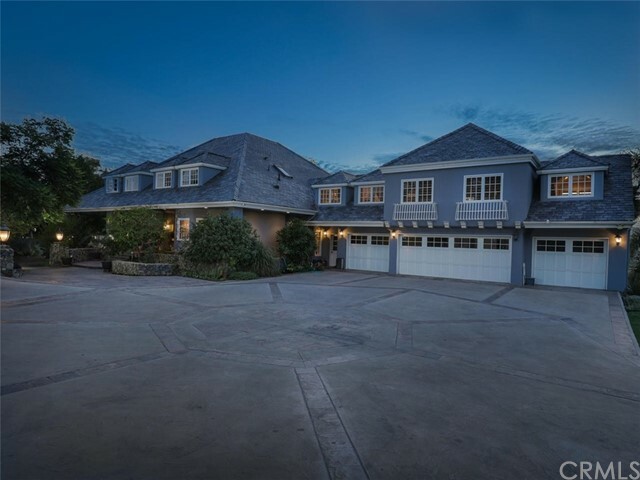 Neighborhoods: Proctor Valley Architectural Style: Custom Built View: Custom Built Equipment: Fire Sprinklers,Garage Door Opener Other Fees: 0 Sewer: Septic Installed Topography: LL Guest House Est. SQFT: 0"
"Beautiful custom built home of your Dreams. Amazing kitchen will make even the pickiest chef excited. Tons of custom cabinetry, w/stunning granite, top of the line appliances, walk in pantry, eat in breakfast area & so much more. Formal Living Room w/Fireplace & Dining Room w/service bar. Gorgeous master suite on entry level with his/her cabinet/sink areas, spa tub, sep. shower. Family room off kitchen with fireplace and opens to outdoor entertaining area w/fireplace. 2+ View Acres. See supplement Neighborhoods: Close In Jamul Equipment: Fire Sprinklers Other Fees: 0 Sewer: Septic Installed Topography: LL,GSL"
"Steele Canyon Estates 4 bedroom on cul-de-sac, 3 car garage, views, solar, & a 13,000sf lot! Custom designed salt water pool & spa, BBQ island w/ separate burner, sink, fire ring, horseshoe pits, & large outdoor round table w/ 16ft wide palapa. Pool & horseshoe area palapas too! Roomy balcony off master w/ views to Mt Helix. Plantation shutters throughout home, granite counters, eat in kitchen, formal dining room, separate family & living rooms, stone fire place, large walk in master closet & sitting.... Neighborhoods: Steele Canyon Estates Complex Features: ,,, Equipment: Garage Door Opener,Pool/Spa/Equipment, Range/Oven Other Fees: 0 Sewer: Sewer Connected Topography: ,LL,"
"Are you wanting to live in East County's most luxurious community? Steele Canyon Estates is the place to be! This home offers great features including: 4 beds, plus optional, 3 full baths, 3 fireplaces, 5 burner gas stove, dual ACs, pool, Jacuzzi, & more! This gated, private community has everything you will need including a 24 hr guard, golf course, tennis courts, community pool, rec room, clubhouse, pro-shop, restaurant & bar. This is a MUST SEE home in a great community! Neighborhoods: Steel Canyon Equipment: Range/Oven Other Fees: 0 Sewer: Sewer Connected Topography: LL"
"GORGEOUS VIEWS with a fully permitted stand alone guest house at this Beautiful Ranch Craftsman in the heart of east county's wine country. 4.44 acres of usable land for horses &/or vineyard! Main House=4 bedrooms, 2 1/2 baths, Custom Anderson windows throughout. Guest House=680 Sq ft, 1 car attached garage & laundry, 1 BR & 1 Ba with large walk-in closet. 2 motorhome hook up sites on property. Sparkling pool, waterslide, waterfall, jacuzzi, built in BBQ area & fire pit. ENTERTAINERS DELIGHT! Neighborhoods: Deerhorn Valley Equipment: Garage Door Opener,Pool/Spa/Equipment Other Fees: 0 Sewer: Septic Installed Topography: ,GSL Guest House Est. SQFT: 680"
"Amazing home on 2.5 acres with oak trees, seasonal creek, fire pits, casita, and BBQs. 2200 sq ft finished garage, plus 2 car garage with huge doors. Some of the best views in Jamul and also includes your own private gate. The house wraps around a beautiful pool and spa. It is a custom, quality-built home with high ceilings, walk-in closets, custom flooring, and much, much more. This house feels like a resort and there is no other like it at this price in San Diego county! Neighborhoods: Jamul Equipment: Garage Door Opener,Pool/Spa/Equipment Other Fees: 0 Sewer: Septic Installed Topography: LL"
"This family-centric home comes with 4 spacious bedrooms, large Master with ensuite, great guest bath and two living spaces with fireplace in great room and efficient gas stove in the family room. Beautifully updated kitchen with solid wood cabinets, Cambria Quartz countertops, and D cor stainless appliances (remodel just completed). Compound includes 30x50 shop with 2 18x10 roll up doors, bath and many built in s. This building has a 200 amp electrical supply. Neighborhoods: Jamul Equipment: Fire Sprinklers,Garage Door Opener, Shed(s) Other Fees: 0 Sewer: Septic Installed Topography: LL,GSL"
"Spanish hacienda perched high atop the mountains of Jamul! With breathtaking sunsets and hillsides covered in Spanish grape vineyards, this property will not cease to amaze. Not only do you have the option of owning this beautiful residence you have an opportunity to purchase the highly established boutique winery, Spanish Peacock Winery. With its phenomenal reputation among wine enthusiasts, this labor of love is ready for the next level of investment. Come for the horses, stay for the wine! Neighborhoods: Jamul Equipment: Dryer,Garage Door Opener, Range/Oven, Shed(s), Washer Other Fees: 0 Sewer: Septic Installed Topography: ,,RSLP,GSL,SSLP"
"Are you looking for an amazing Ranch Property close to town? Look no further! This home w/guest house has it all including a 3 bed, 2.5 bath, 2 car garage main house (fully upgraded);a newer guest house;1000 sq ft workshop/garage w/finished walls and insulation, horse/animal facilities, green house & garden, fruit trees, gated entrance & stunning views! Recent updates include kitchen w/quartz countertops, stainless steel appliances & more. A MUST SEE PROPERTY! Only 10 minutes to Rancho San Diego! Neighborhoods: Jamul Complex Features: , Equipment: Range/Oven Other Fees: 0 Sewer: Septic Installed Topography: GSL"
"BEAUTIFULLY REMODELED SINGLE STORY HOME IN A GATED COMMUNITY, THIS HOME SITS ON ONE ACRE & IS LOADED WITH UPGRADES, INCLUDING STUNNING KITCHEN WITH CUSTOM CABINETS, WALK IN PANTRY, GRANITE COUNTERS & LARGE CENTER ISLAND, DUAL PANE WINDOWS, LED LIGHTING, VAULTED CEILINGS, HUGE MASTER BEDROOM WITH WALK IN CLOSET, MASTER BATH HAS DUAL VANITY AND SEPARATE TUB/SHOWER, LUSH LANDSCAPING WITH MATURE FRUIT TREES, POOL AND SPA, OUTDOOR FIRE PLACE, PAVER PATIO WITH TONS OF RV PARKING. WELL SERVICES THE YARD & POOL. Neighborhoods: JAMUL DE ORO Equipment: Garage Door Opener,Pool/Spa/Equipment, Range/Oven Other Fees: 0 Sewer: Septic Installed Topography: LL"
"Indian Springs Estates, a gated community, centrally located in Jamul. Close to all. Custom built, architecturally designed home captures the early Californian Monterey style design, featuring trellised walkway with pillars, large balcony deck w/great views & tile roof. Open floor plan w/ generous room sizes make a great family home & for entertaining. Kitchen includes a breakfast area, granite countertops, newer appliances, new whirlpool double oven, lge pantry which opens to family rm. See supplement: Neighborhoods: Indian Springs Estates Architectural Style: Monterey/Hacienda/Adobe View: Monterey/Hacienda/Adobe Equipment: Garage Door Opener Other Fees: 0 Sewer: Septic Installed Topography: LL,GSL"
"Price Reduced! $695,000-$735,000. On 8+ acres this custom built home features 3 bds, 2 full baths, 2 half baths, open loft/office, bonus room, vaulted ceilings, large living and family rooms, 2 fireplaces, master bedroom with private deck, jacuzzi bathtub, laundry room, open floor plan, large deck, central a/c & heat, central vac system, swimming pool, horseshoe driveway, 2 car garage, ample parking, 6-stall barn, private well, mature trees, and PANORAMIC MOUNTAIN VIEWS! This is the one. Neighborhoods: Jamul Equipment: Garage Door Opener,Pool/Spa/Equipment, Vacuum/Central Other Fees: 0 Sewer: Septic Installed Topography: ,LL,,RSLP,GSL,SSLP"
"Entertaining offers from $699k-$729k! With 15 acres & Panoramic mountain views this home will not disappoint! With over 3000 SF this home features a large open living room & open concept kitchen w/brand new viking stove top, large master retreat on first floor, & modern updates throughout. Home has an optional mother-in-law suite upstairs w/separate entrance & includes living space, bedroom, full bath & open attic storage space.Home has TWO(2 -car) garages, one w/a rooftop deck! A MUST SEE! See Supplement Neighborhoods: Jamul Equipment: Garage Door Opener, Range/Oven Other Fees: 0 Sewer: Septic Installed"